Illinois winters can be rough on your garage. With this season comes freezing temperatures, snowy and wet conditions, and sometimes even high winds. However, there are a number of ways to evaluate the performance of your garage during the winter. Harsh winter conditions can cause the exterior of your garage to rust or become damaged. In order to evaluate the performance of the outside of your garage, you will need a few useful cleaning supplies to see just how sturdy your garage is. These supplies can include a rag or mop in the case of any water buildup and salt to put on the ground to prevent ice from forming. Make sure that your external keypad to open and close your garage has not been affected by the cold weather as well. Usually, keypads contain a 9-volt battery, so ensure that there is an ample amount of battery life for the cold winter months. Taking these steps are just a few ways to assess your garage performance. Sometimes it is easy to forget to keep up with technology because there are always new devices coming out. This is important to keep in mind when it comes to your garage remote working throughout the winter. It’s not fun to get locked out of your home in the cold. So, evaluating the status of your garage remote batteries is beneficial to your safety. To guarantee that this does not happen to you, test your remote and regularly check the batteries. Evaluate the performance of your windows in your garage this winter by checking for cracks or other issues that may have occurred over the past couple of months. Replace any damage that may have happened immediately. While you are inspecting your garage windows, remember to take a look at the sealing around the windows as well and replace it if need be. Another helpful winter garage safety tip is to utilize weather stripping. Once applied, evaluate if the stripping has hardened due to heat exposure or other weather conditions. It is made from PVC so when repairing any broken areas you should use a silicone-based lubricant. 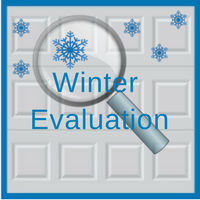 Remember to annually evaluate your garage performance during the winter. It is beneficial to replace any old parts and to clean up any danger hazards. For more information on how to clean up your garage this winter, contact one of our Chicagoland area garage experts at Blue Sky Builders. Call us today at 630-852-8485 or visit us online. 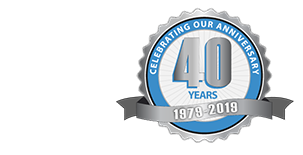 We are here to serve our clients with all garage maintenance needs.